Moving might be a strenuous process, but if you’ve hired one of the best Chicago moving companies then you’ve definitely taken the effort to cut down on your stress level during the big move. But just because you’ve hired moving professionals to do a lot of the heavy lifting, that doesn’t mean you can just sleep in the day of the move or assume that the movers will know where to place all of your precious belongings in your new home. To make sure the move goes as easy as possible for both you and the professional Chicago movers you’ve hired, we’ve put together a quartet of tips to keep in mind during the move. Chances are you’ve booked a team of movers for a period of several hours. That means time is your money and showing up to the move thirty minutes late is on you, literally. Not only does showing up late cut down on the amount of time you have with your moving team, but depending on your contract you may be fined for sleeping in or getting stuck in traffic. So make sure to get to the move site at least twenty minutes early to ensure that you get the most out of your time. We get it. Not everyone feels the most comfortable letting a team of professionals they do not know into their home. That said, how would you want to be treated if you were doing the moving? The so-called golden rule–treat others how you want to be treated–is actually a pretty good rule of thumb here. After all, you’d probably appreciate the person moving knowing your name and offering you a cup of coffee to keep you energized and water when you get overheated. Lastly, make sure to show the professional movers where the guest bathroom is so they aren’t wandering all over the place trying to find it. 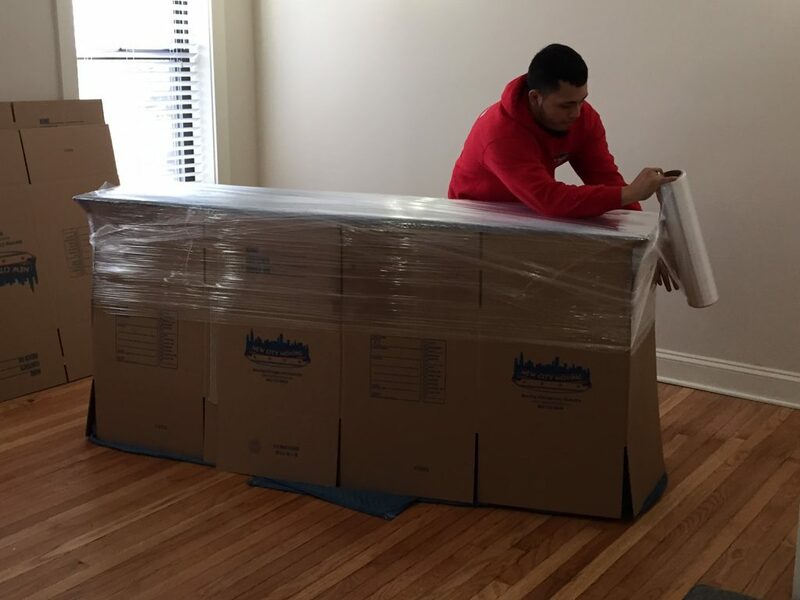 As we’ve already mentioned, even though you’ve invested in hiring Chicago’s best professional movers doesn’t mean you can just check out of the move. Especially since you might have special instructions for the family heirloom that is currently being…oh no! Even if you’ve put arrows on the side of the boxes (which we provide with free shipping) and given detailed instructions to the moving company, taking the time to at least go over the essentials with the professional movers beforehand can save you from a costly mistake during the move. And don’t just disappear once you’ve laid down the law. Let them know they can ask you anything anytime or risk that priceless vase being mishandled because you forgot to mark it clearly or point it out beforehand. Stay out of their way and let them do their job, but stick around to help guide them through your belongings. Since your professional movers are being well-compensated they won’t be expecting a tip. But if they did a fantastic job, show your appreciation with a tip you deem appropriate. Ultimately, it’s the thought that counts as an excellent job warrants an extra gesture. Additionally, if you were not at all happy with your moving experience or especially if you were, communicate that to the moving company. If there is an online survey after the move, consider filling it out. Most moving companies, such as ours, value great customer service. If something went wrong, they owner will want to know so he/she can correct it. Ultimately, by being mindful of the time, keeping a friendly and open line of communication with your professional movers, and providing them with water and coffee should they need it are small gestures that can make a big difference.